Another Sunday another lazy blog post. This Sunday we had Matt’s Dad round for lunch. 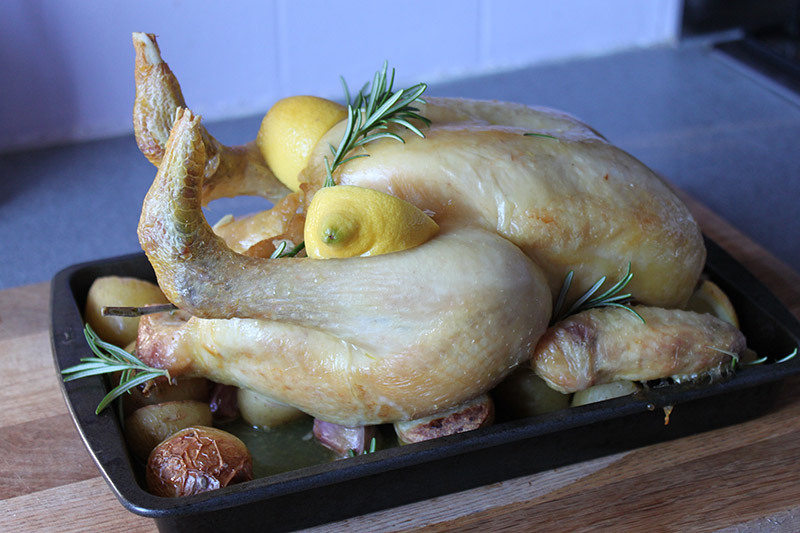 I have made this roast chicken a couple of times before using thyme, but since I now have a rather large rosemary plant weed I used that instead. The chicken is cooked for the first hour under a tent foil with some potatoes, stock and wine. The foil is then removed and lemon wedges and rosemary were added to the roast and cooked for another hour. Then the last stage is wacking the temp up on your oven to get a lovely crispy skin. 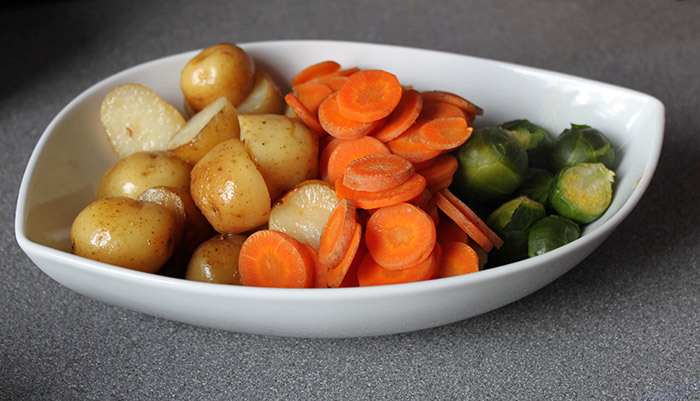 I served it this time with some traditional veg (potatoes, carrots and brussel sprouts) but I also think it would be perfect in the summer time with a salad. 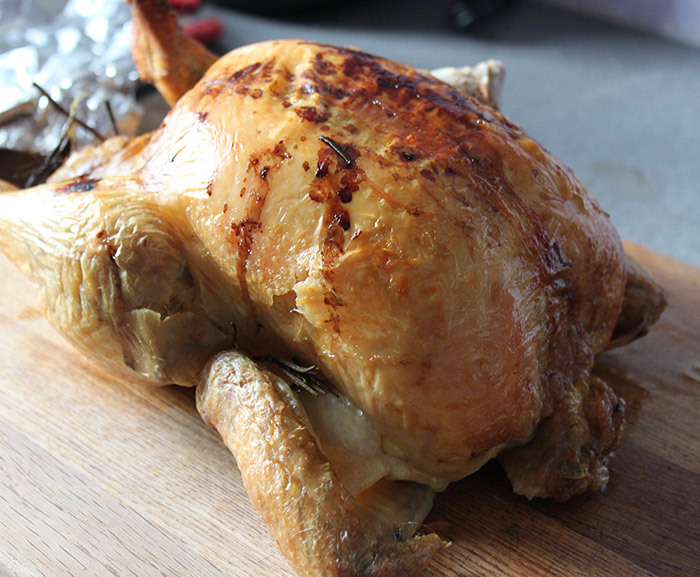 I used this recipe for Foolproof Roast Chicken.